Formulas that'd make me say, "what skinny brushes?" if that were something I'd say. Wheeee!!! 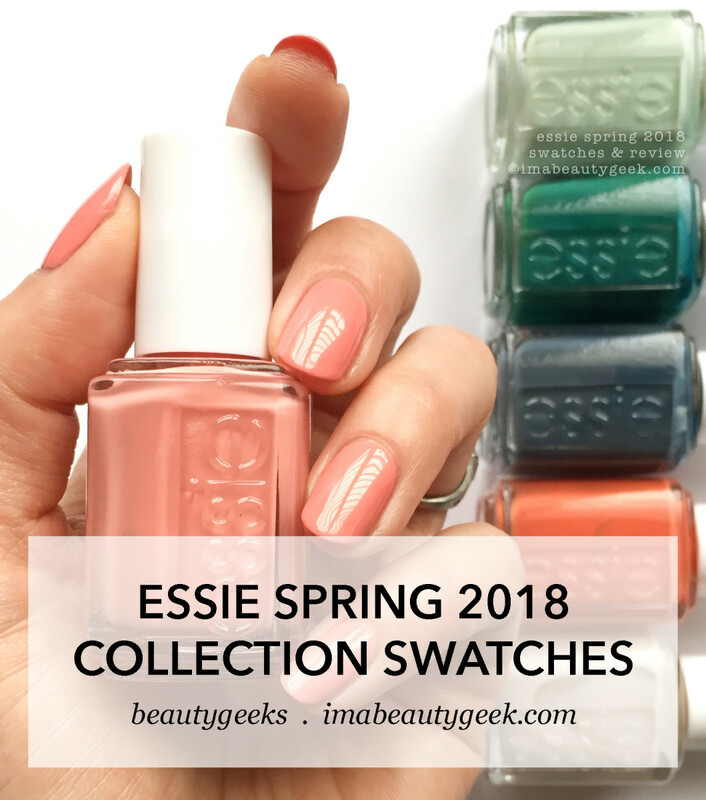 Hot on the heels of Essie Resort 2018 comes the new 6-shade Essie Spring 2018 collection! I’ll tell ya what – my notes for this take up one single page in my little notebook. Just one. That’s amazing! But wait… what does that even mean? Well it means it was all crazy-easy to apply and that the formulas made me smile. Yes, even with the skinny brushes. 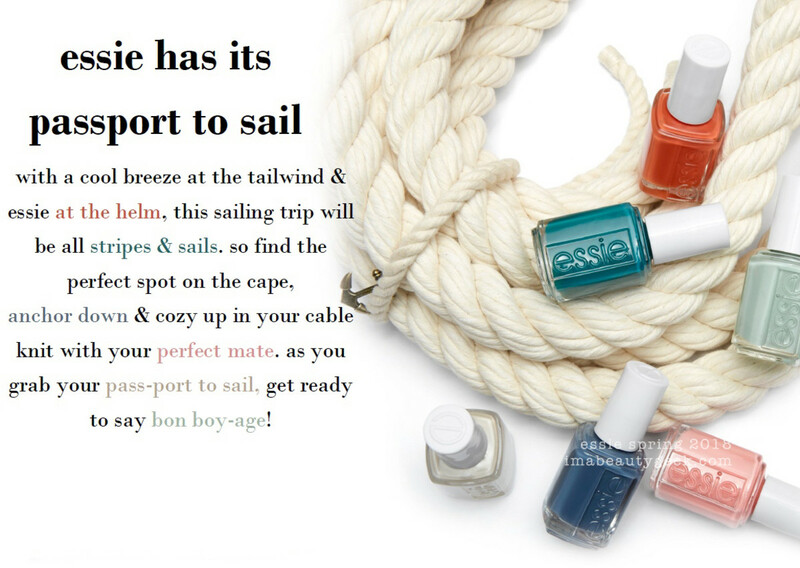 Essie Pass-port to Sail – Essie Spring 2018 (above). Here, lemme give you the shade description: “embark in a soft sandy beige nail polish lightly splashed in ivory shimmer for a sheer look that’s so very posh.” So I did one coat. I mean if it’s supposed to be sheer, I’m gonna leave it sheer, right? I know you’re all “But does it build, Manigeek?” Sure, but given my real estate, successive coats just ended up patchy. If you have little nails, it’ll be easier for you. 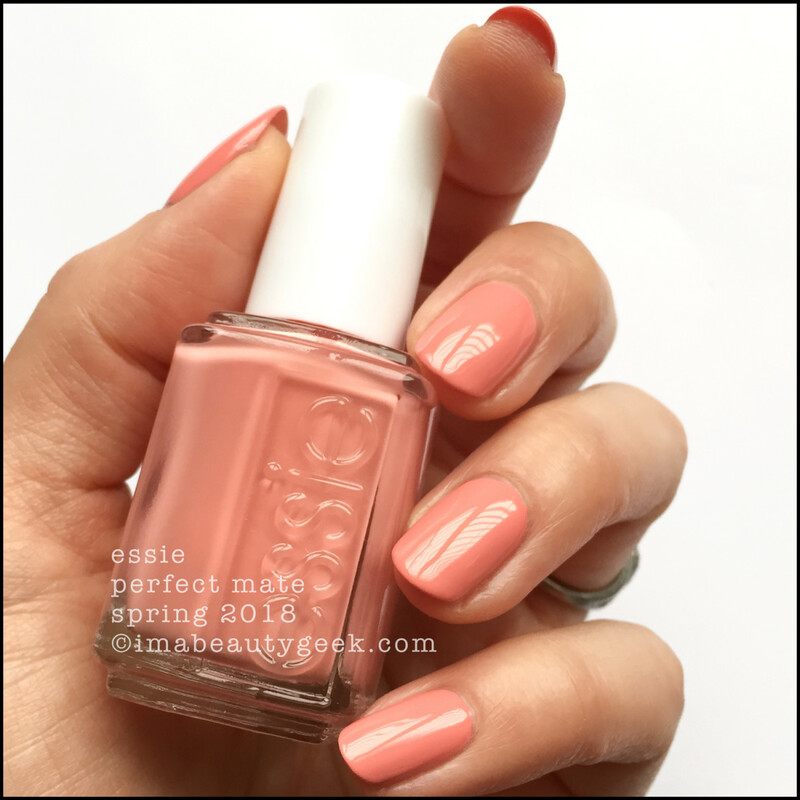 Essie Perfect Mate – Essie Spring 2018 (above). At first, when I just held this bottle in my hand, I was all “It’s so gonna wash me out – no no no. I don’t wanna.” Once I added 5 drops of thinner and then went at it, I was all “I must have been out of my mind! This is so pretty and lovely and beautiful once it’s actually on mah nailz!” This right here? It’s my favourite of the 6. 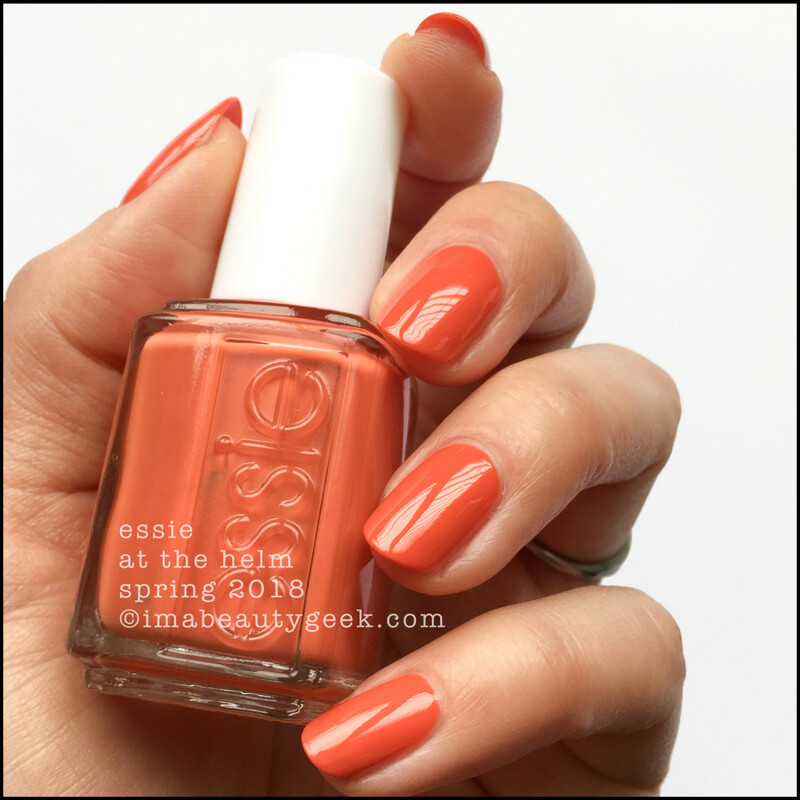 Essie At The Helm – Essie Spring 2018 (above). 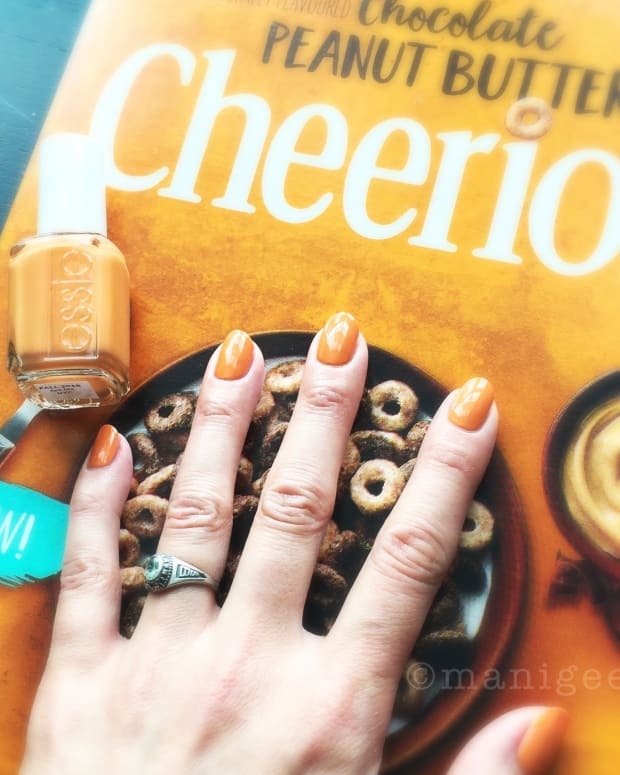 So they’re callin’ this “a fire orange nail polish tinged with salmon red.” To me, it’s a dusty, creamy burnt orange that’s maybe more summer or Fall, but hey, what do I know, right? The formula is swell and there’s no top coat on there… yet. 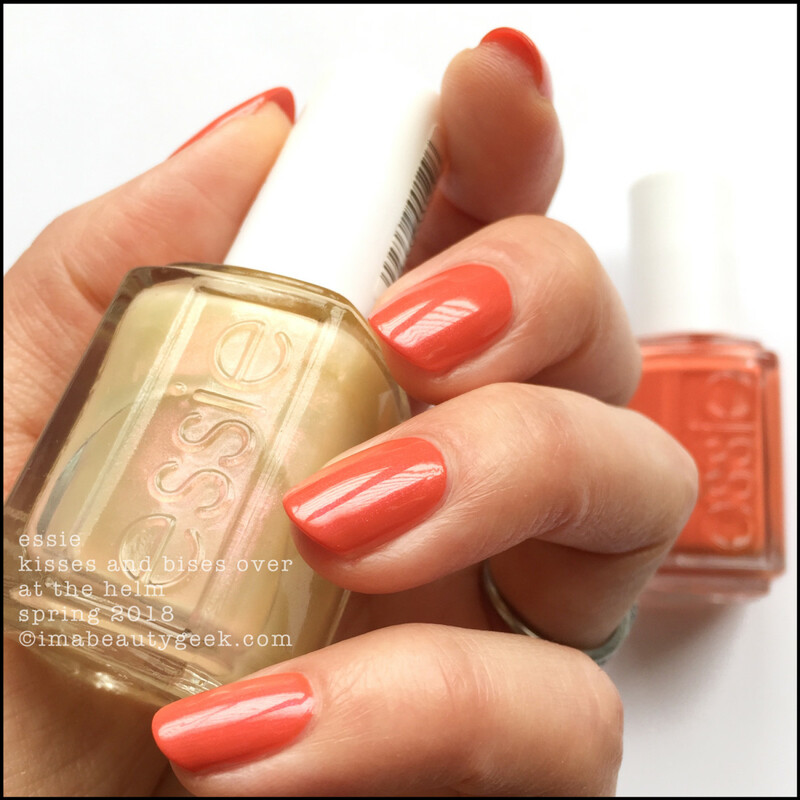 Essie Kisses and Bises over At The Helm (above). You know you wanna. 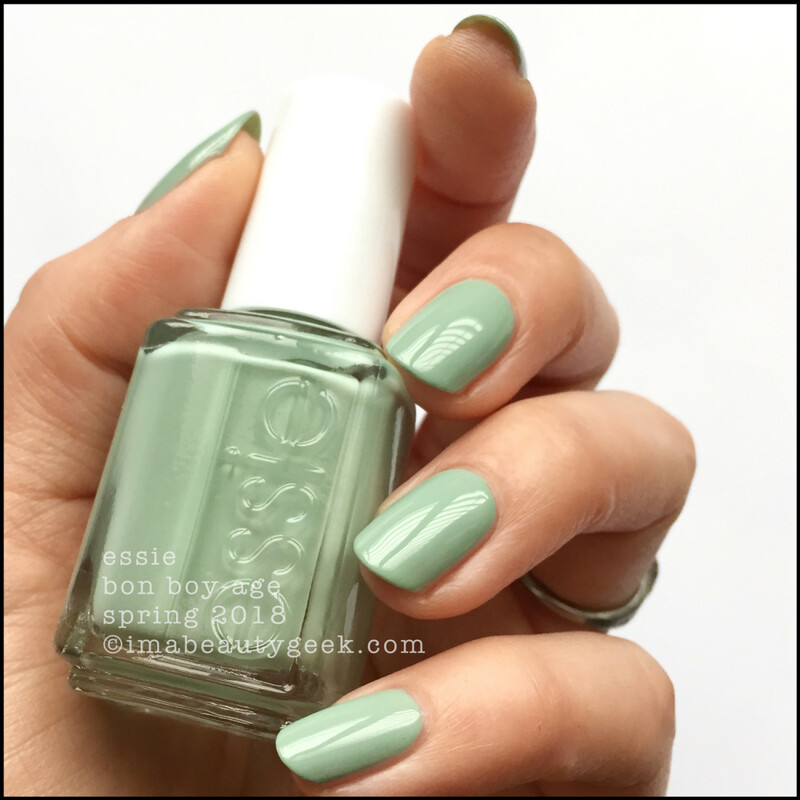 Essie Bon Boy-age – Essie Spring 2018 (above). That’s 2 quick ‘n easy coats (+ top coat) and my notes say nuthin’ else. It’s a good minty thing for Spring, huh? 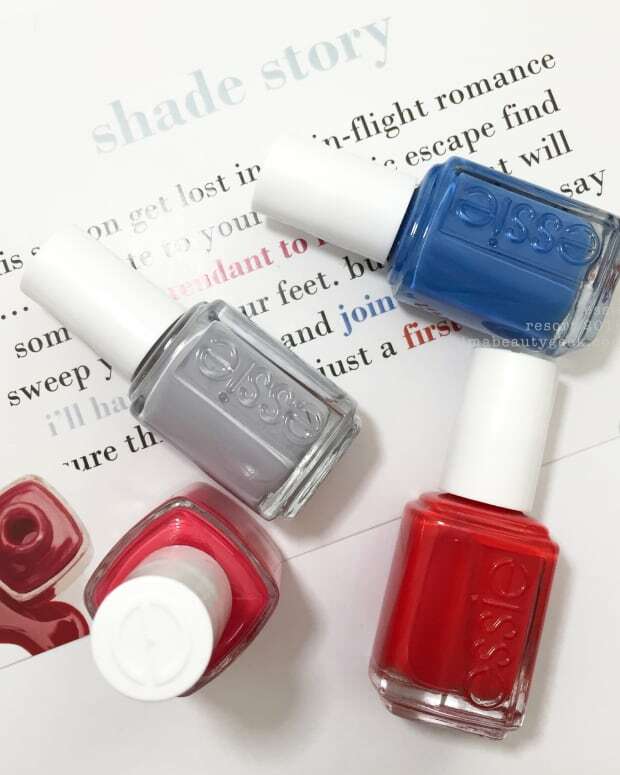 Essie Stripes & Sails – Essie Spring 2018 (above). Here’s da notes: "2." Yep, that’s it. Hahahaa!! I was clearly feeling wordy that day! 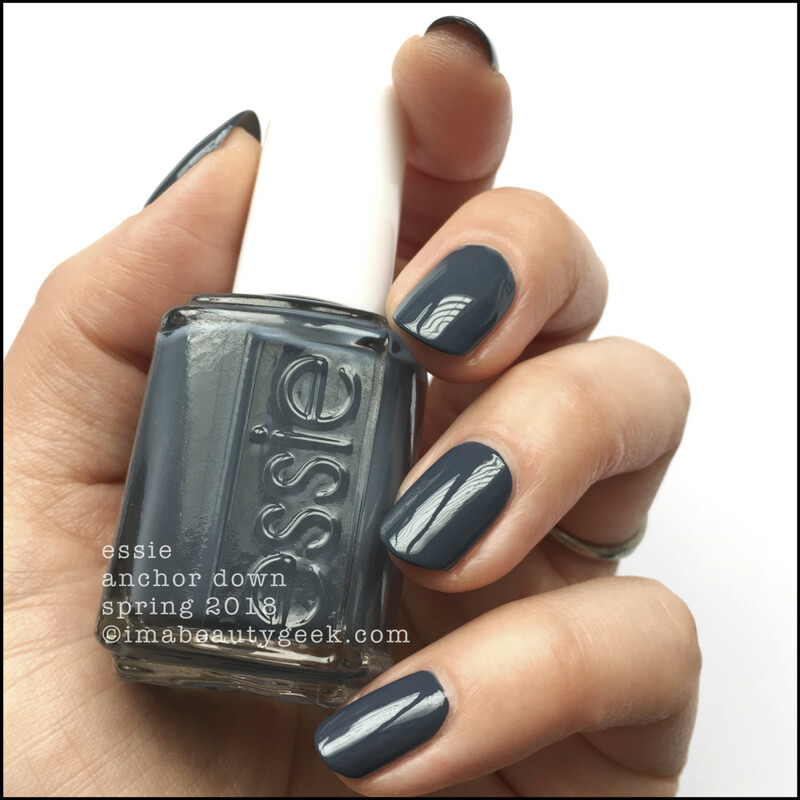 But now that I’m looking at the photo, I’m recollecting that this shade is a teeny tiny bit teal. I’m also recollecting that it didn’t get my cuticles or sidewalls because if it had, I woulda written that down for you. 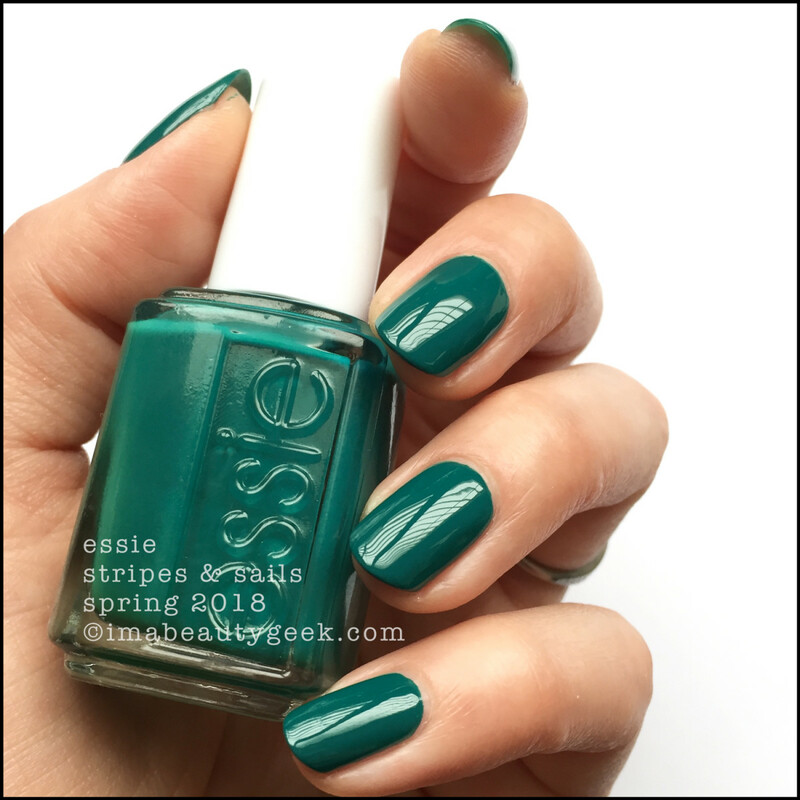 Essie Anchor Down – Essie Spring 2018 (above). Unh. Sooooo good. This thing is a mega-dusty denim grey that speaks to me. Know what it says? It says “I know you want to slap some kind of fun top coat on me, but just don’t do it. I’m stunning all by myself. Put your hands in the air and step away from the Girly Bits Hocus Pocus.” Polish speaks, Manigeek listens. And launch date? 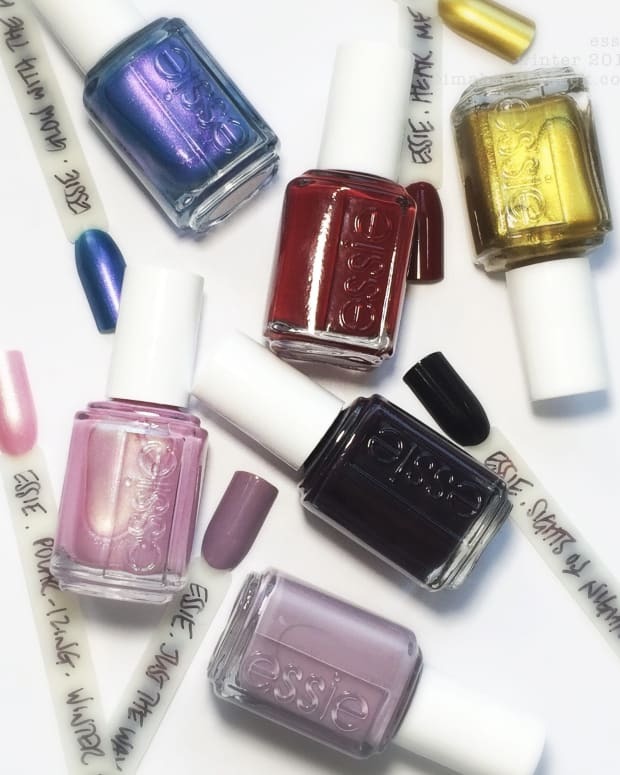 I dunno for sure but I figure sometime soon it’ll be at Ulta, Shoppers Drug Mart, amazon.ca & all those other places you like to buy your Essie from. Manicures & photos Karen Falcon (she’s SO not seeing how a sailing theme is Spring, but whatevz).